Sometimes you have some images that you don't want to lose. To save their copyrights you have to put watermark in them. Watermarking is a technique used to change the pixel values of an image from some points so that you can make a pattern in it. You can use the editing software to put watermarks in your images but the most efficient way is to use a free tool to put the watermark automatically. It is a website which offer free editing of images. You can add text and boarder to your images with the help of it. These text and borders are added as watermarks. It allows you to share the image on Facebook and flicker after editing. You can upload five photos at a time with the help of it and add watermarks in them. How to Access Blocked Websites; 5 BEST Methods! How to Get Paid as a Freelancer via Payoneer Debit Card? You can upload and edit multiple photos with the help of it but remember each photo should be less than 200KB. Image watermark can also be added but it is offered to premium users only. 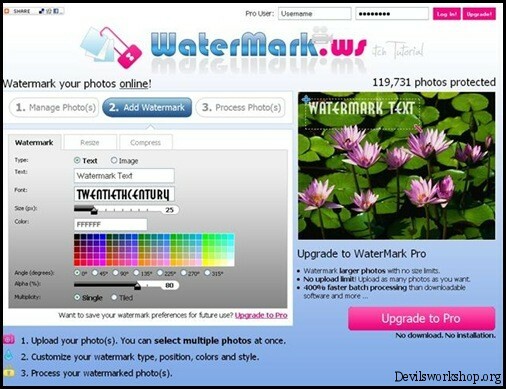 It is also one of the good tools to add watermarks in the images. You can edit multiple photos at a time but each should be less than 500KB. It is a very usefull tool. Most of us have used it to edit our photos. It has another feature that most of the people don;t know. It can also add watermarks in your images. It supports batch editing and text watermarking but still it is very limited. It can also be used to put watermarks automatically. 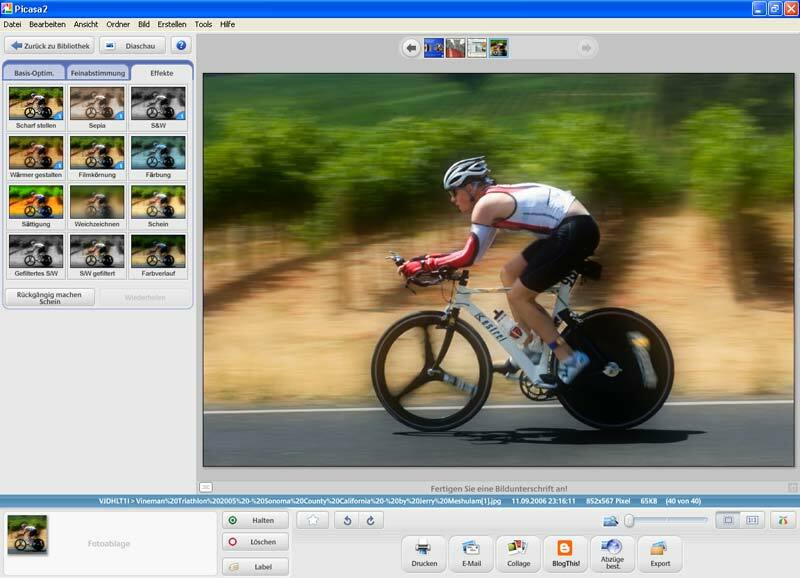 It is a very fanciful software but it provides very high class features to add watermarks in the images. 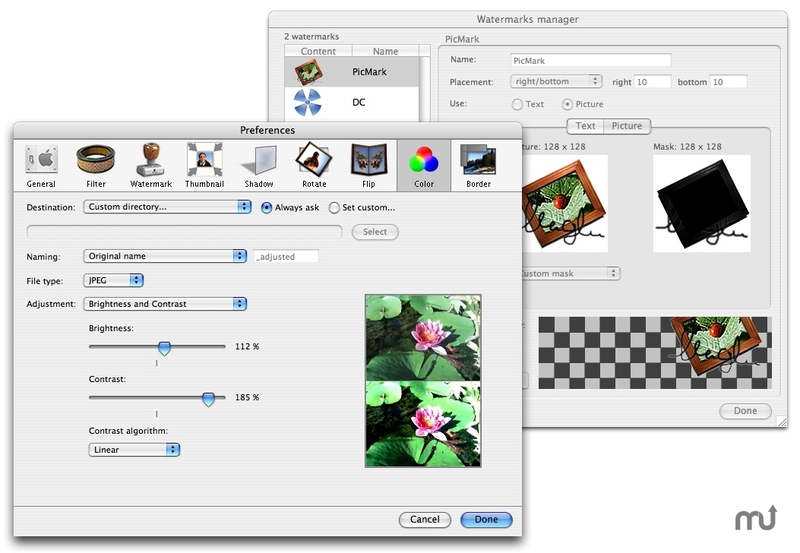 It is easy to use and everyone can add watermarks in images easily. Image and text both types of watermarks can be added with the help of it. You can also rotate and change the position of the watermark. 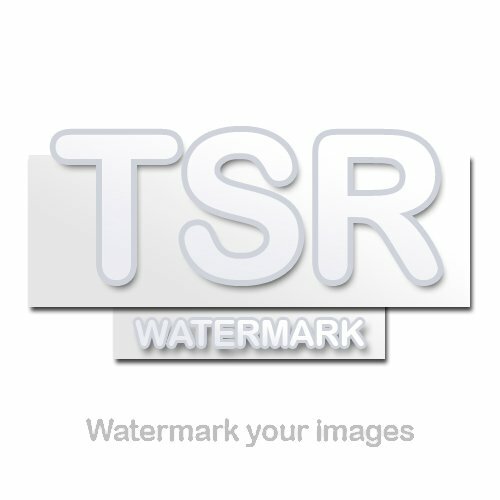 You can add a text watermark in a single image at a time very easily with the help of it. It has high features for text watermarking. It has an extra feature than it can change the format of the image. 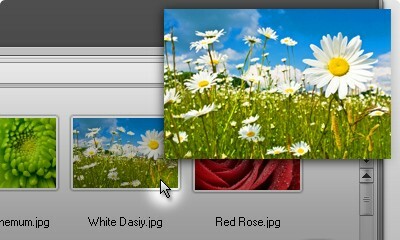 It is an easy to use tool with the help of which you can add watermark in your images. You are given free access to all the features of uMark in the first 15 days. After these 15 days you will be limited to free features only. 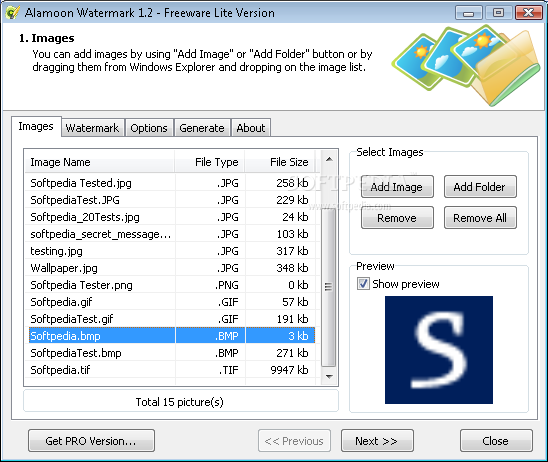 You can save 2 watermarks in the free version of uMark. The best feature of My Watermark is that the text watermark you insert is automatically adjusted according to the image. 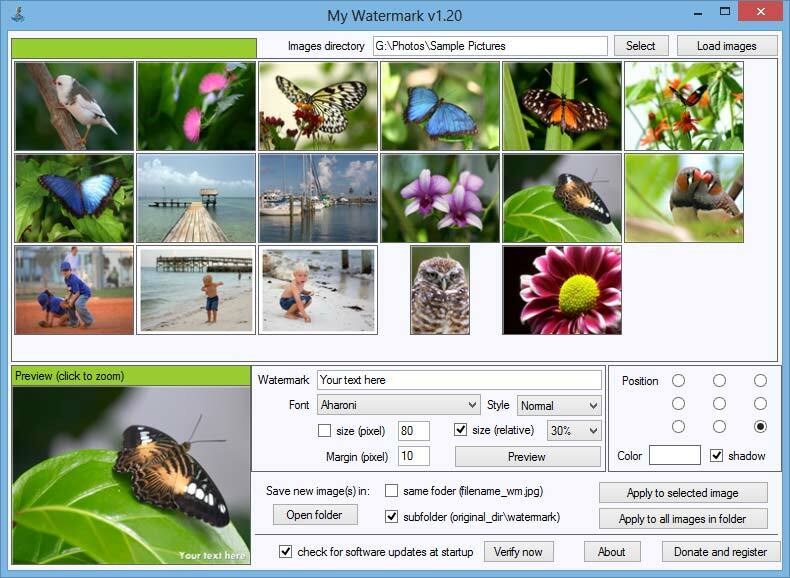 It can do text watermarking and batch editing but imagine watermarking feature is not available.